Wormtown Rubbish Removal is one of the most experienced junk removal companies providing the cheapest, most affordable rubbish removal in Worcester, Massachusetts (MA): Millbury, Grafton, Shrewsbury MA, West Boylston, Holden, Boylston MA, Paxton, Leicester, Spencer, Auburn MA, Oxford, Sutton, Northbridge, Upton, Hopkinton, Westboro, Southboro, Northboro, Paxton, Princeton, Sterling and many other cities and towns. Wormtown Junk Removal provides garage clean-outs, attics, basements, estate-cleanout, tenant eviction cleanouts, construction site cleanup, yard waste removal as well as dumpster rentals in Worcester County Massachusetts for the "Do It Yourselfers". For over 10 years Wormtown has offered a 10% rubbish removal discount coupon for seniors and military personel as we pride ourselves on taking care of our elders as well as men and women in uniform. If you need the best trash removal company for any number of reasons, call Wormtown Rubbish Removal in Worcester, Massachusetts for your fast, dependable junk removal. 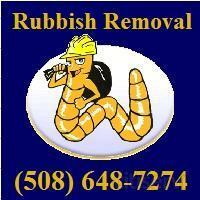 Junk removal discount coupon in Worcester County, Massachusetts not to be combined with any other offer. Discount coupon must be presented at time of service.